PsychStaffing has been a trusted source of affordable psychiatry recruiting and coverage to healthcare providers for more than twenty years. PsychStaffing coordinates on-going evening, night and weekend coverage for your facility with very affordable plans. All costs related to credentialing, scheduling, payroll and liability insurance are included in an affordable hourly rate! 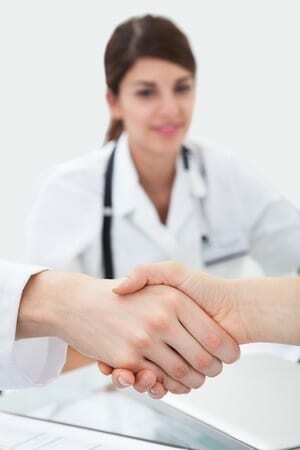 Save time and money by retaining the permanent psychiatrists that you have worked so hard to find. Smart hospital administrators choose PsychStaffing psychiatrists to eliminate the “burn-out” that permanent full-time psychiatrists experience with night and weekend coverage. Permanent Full-Time Psychiatrists: PsychStaffing recruiting specialists will launch a marketing campaign for your hospital to attract highly qualified and credentialed psychiatrists to add to your permanent staff. Evening and Saturday Psychiatrists: Medication management is the backbone of any successful outpatient mental health practice. PsychStaffing can assign a highly qualified independent contractor psychiatrist to your outpatient facility for regular part-time evening or Saturday hours for a fraction of the cost of a permanent full-time psychiatrist. Evening and Saturday PsychStaffing psychiatry services will immediately increase revenue, attract new patients, retain existing patients and improve patient outcomes. Permanent Full-time Outpatient Psychiatrists: PsychStaffing recruiting specialists will launch a marketing campaign for your outpatient facility to attract qualified psychiatrists to add to your permanent full-time staff.